A new “fly on the wall” book traces the trajectory of architect Frank Gehry’s first Australian project, from concept to completion. 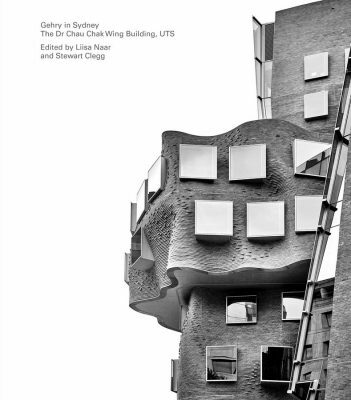 Gehry in Sydney: The Dr Chau Chak Wing Building, is edited by Dr Liisa Naar and Professor Stewart Clegg of UTS Business School, which moved into the building in Ultimo, on the southern edge of the Sydney CBD, a year ago. 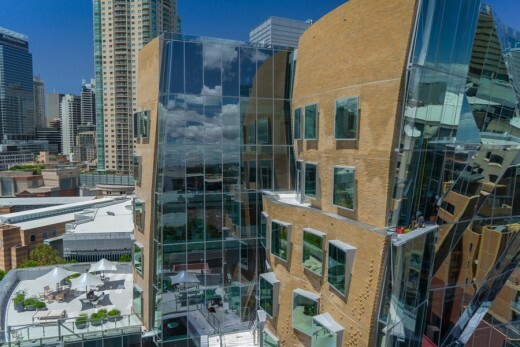 Dr Naar, a designer and a UTS Chancellor’s postdoctoral research fellow, spent hundreds of hours as a “fly on the wall” over the three years it took for the building building to move from concept to completion. “My particular interest is in the social construction of architecture. That is, in the practices around how architect and client relationships evolve and how innovative architects works with clients to convince them to take up their innovative design ideas,” Dr Naar says of the research project. The Dr Chau Chak Wing Building is certainly innovative, with its ‘skin’ of hand-laid, undulating brickwork tied to a steel substrate that determines its shape. Dr Naar describes the Dr Chau Chak Wing Building, which she now works in, as having “a sense of humour and a very human scale”. The brickwork was constructed by Favetti Bricklaying. 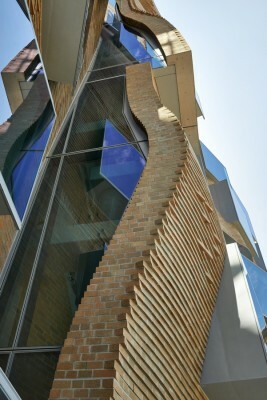 Achieving its fluid appearance was a technical feat that involved corbelling (stepping) individual bricks to articulate the building’s organic shape. The bricks – around 320,000 in total – were custom made for the building and laid by hand. 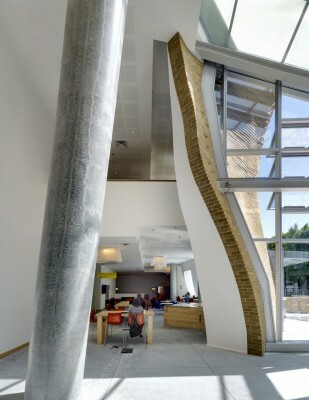 The project team also included executive architects Daryl Jackson Robin Dyke and construction company Lend Lease. 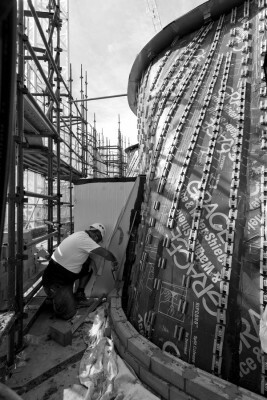 Professor Clegg, a leading international researcher in management, with an interest in large, complex projects and the built environment, was intrigued by Gehry’s attachment to physical models. 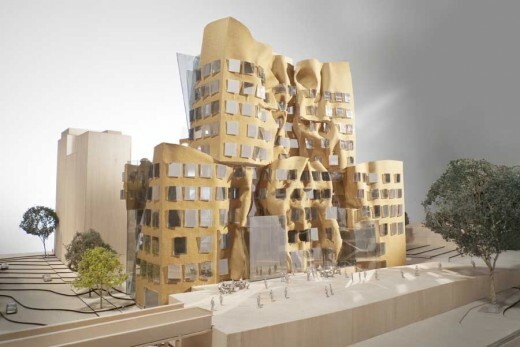 Gehry Partners’ prolific production of physical models is considered atypical for architects in these days of 3D computer-aided design. “While virtual technologies are significant in Gehry’s repertoire, physical models remain central to his design practice,” Prof Clegg says. “The models form a common boundary between different worlds – the world of architectural practice and the client’s world – bridging them. 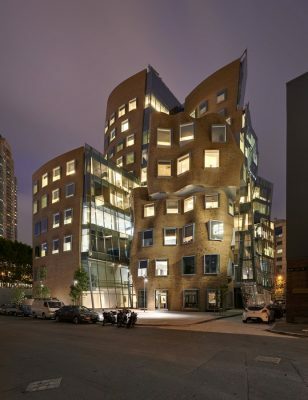 Gehry in Sydney is richly illustrated with photos, sketches and plans and includes interviews with Frank Gehry and Gehry Partners design team members Craig Webb and Brad Winkeljohn. It also includes “tales from the field” from the people and firms in Sydney that made the project possible. It is published by Images Publishing and available from www.imagespublishing.com (RRP $US75). Denton Corker Marshall wins design competition for a new Broadway Building for the University of Technology, Sydney. Architects Denton Corker Marshall have won the two stage international design competition for a new state-of-the-art Faculty of Engineering and Information Technology building on Broadway for the University of Technology Sydney.